The word barometer means a weather gauge, an instrument for forecasting weather. Young people are often regarded as certain types of forerunners and heralds of the future. The notion of taking a peek into the future is summed up in two ways in the Youth Barometer’s name. 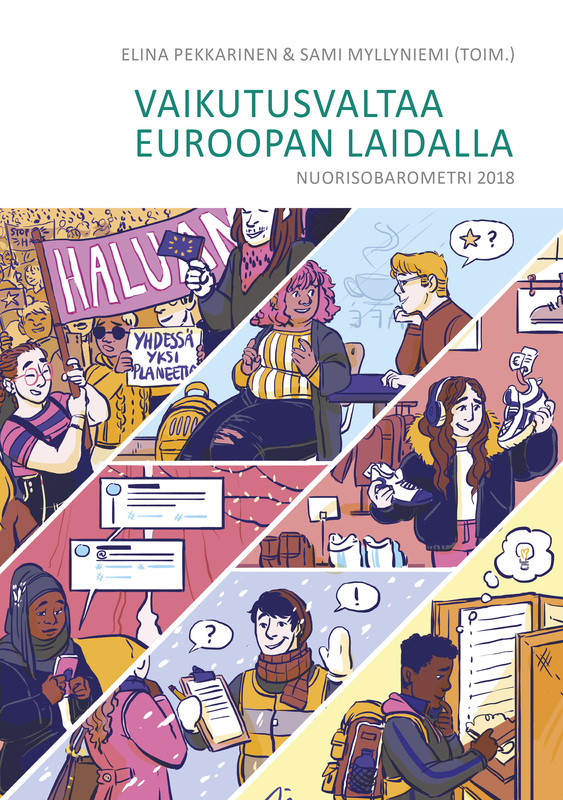 We now have another chance to peek into the future as the Youth Barometer 2018, which studies the values and attitudes of young people who live in Finland, was published on Tuesday 12 March on the themes of power, influence and Europeanness. The Youth Barometer measures Finnish youth’s values and attitudes. Picture: Mikael Heikkanen. The annual publication measures the values and attitudes of young people aged from 15 to 29 living in Finland. The Youth Barometer is carried out by the State Youth Council and the Finnish Youth Research Network. Questions that are repeated each year provide over 20 years of follow-up data for the observation of trends over this period. The basic themes that have been included for a long time in the barometer are work and education, societal influencing, living, future and social life, and satisfaction with life and its various areas. A changing theme each year makes it possible to explore topical themes concerning young people. 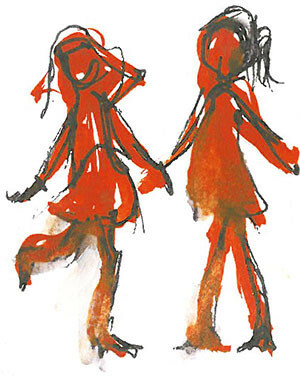 The Youth Barometer, which has become an institution in the fields of Finnish youth policy, work and research, is celebrating an important anniversary this year, as it is 25 years since the publication of the first Youth Barometer in 1994. 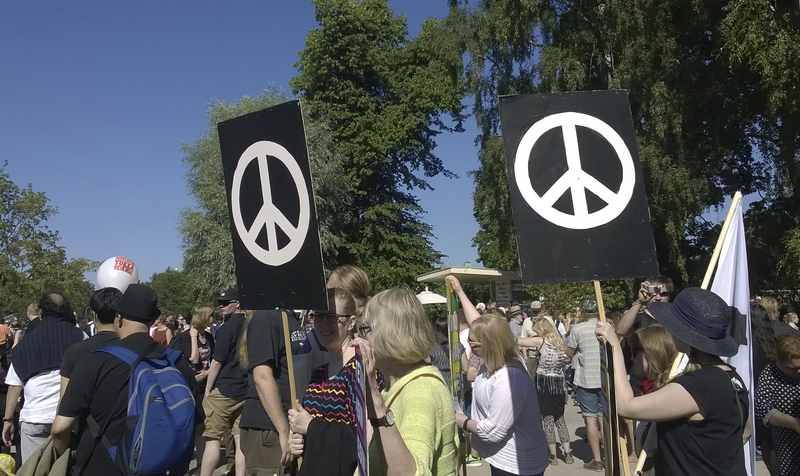 Young people who live in Finland have a positive attitude to democracy and it is something they value. The Youth Barometer 2018 asked young people for their thoughts on their own opportunities and means of having an influence in society. The Youth Barometer shows that young people’s interest in politics has grown: In the 2018 barometer, the share of those interested in politics to a certain extent increased (61%). Correspondingly, the share of those who are completely indifferent is lower (8%) than it has ever been previously during the over 20-year period studied. The number of respondents who participate in political activity also increased, especially among those under the age of 20. “Some fear that democracy is broken. However, in light of this Youth Barometer, we do not need to be concerned about young people’s belief in influencing and their desire to change things,” says Elina Pekkarinen, editor of the Youth Barometer. Politics is not defined in any way to the interviewees during the interview, which means that a simple question about political interest can be interpreted in many ways. By comparing political interest with participation in various means of influencing it is also possible to study the way in which young people understand politics. The fact that political interest and voting activity largely go hand in hand shows that the majority have a traditional understanding of politics. The Youth Barometer 2018 found that young people have a rather traditional understanding of politics and it looks like the same group of young people participate in various means of influencing. Photo: Katja Tiilikka. The majority of young people seem to believe in the traditional ways of influencing. The young people feel that the most effective ways to have an influence are to stand for election, vote and actively participate in an organisation or youth council. It is surprising to see that the share of young people who believe that purchase decisions are an effective way to take a stand increased from under one third in 2013 to 57 per cent. Other extra-parliamentary means of influencing, such as demonstrations and participating in political discussion on social media, also increased, though the growth took place particularly among those young people who also participate in the traditional means of influencing. “The Youth Barometer does not support the idea of a ‘buffet table’ of influencing from which the young people select the most suitable means of influencing for themselves. According to the data there is no significant group of active young people who are involved mainly outside the representative structures and who only use new means of influencing. Instead, the same group of young people participate in the means of influencing,” says Senior Researcher, Tomi Kiilakoski. Young people’s political participation varies by level of education. 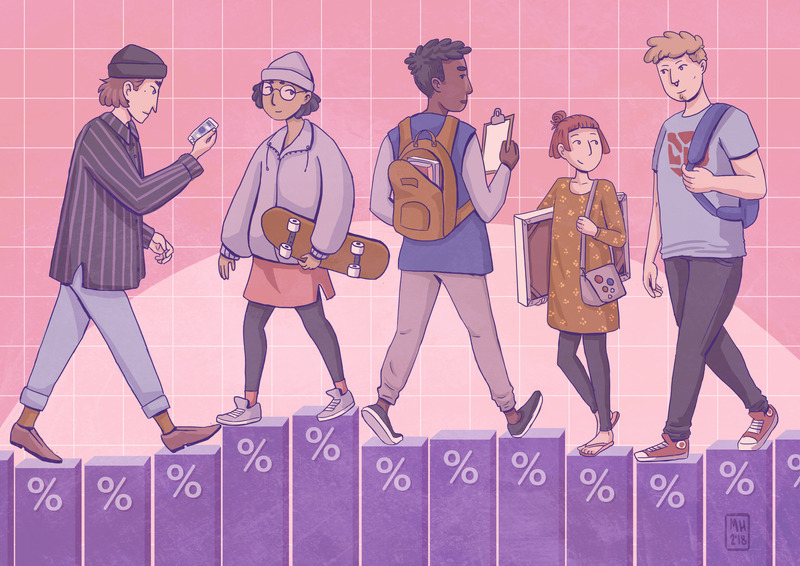 Young people with higher education are more active voters and participants in organisations than others, whereas those who have no education at all participate more frequently than others in discussions on social media and by abstaining from voting. In addition to political interest, one of the key observations of the latest barometer is the increase in popularity of the European Union among young Finnish people: two-thirds of young people feel that EU membership has been beneficial to Finland. This is clearly the highest share over the period studied of more than 20 years. Trust in the European Union is also growing sharply. 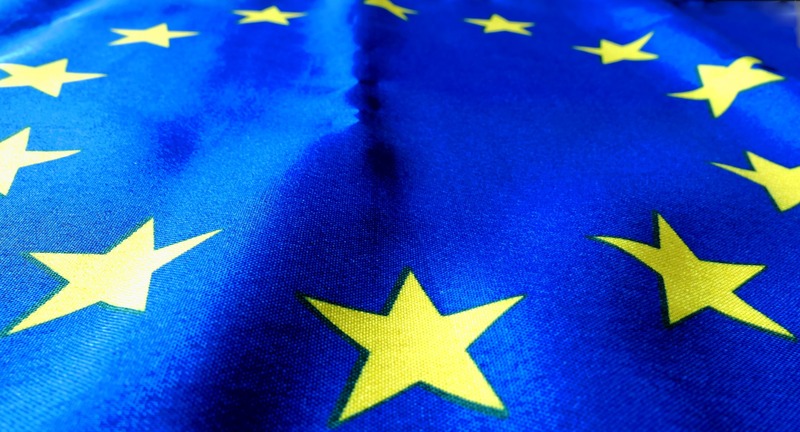 “This Pro-EU stance may seem a little surprising considering the situation at the time of the interviews with the UK leaving the EU and EU-scepticism otherwise on the rise in other countries. When considering the reasons for this it is worth considering another strong trend in the Youth Barometer, in which young people are increasingly concerned about the global political situation. Correspondingly, their desire for national security has also strengthened. Perhaps the feeling that the values of Europe and Europeans are under threat is also expressed as a new type of appreciation for them,” says Sami Myllyniemi, Statistical Researcher at the Finnish Youth Research Network who has been working on the Youth Barometer for 15 years now. Influence on the edge of Europe – Youth Barometer 2018 studies young people’s attitudes to power and influencing particularly from the perspective of Europe and Europeanness. Photo: Pixabay. Though the results are predominantly positive regarding the perspective of Europe’s future, about one in three young people feel that the integration of Europe has already gone too far. General awareness of the Youth Barometer is also an undeniable benefit when it comes to putting its results into practice. The State Youth Council produces information on young people and their living conditions, launches initiatives to develop youth policies and evaluates the impacts of Government actions on young people and services targeted at young people. “The Youth Barometer has a key role in the implementation of these tasks and it enables the State Youth Council to provide informed data on young people’s views and needs to support decision-makers. For example, the link that was found in the Youth Barometer 2016 between hobbies and wealth led to tangible political measures to improve the opportunities for young people to participate in hobbies,” says Herttaliisa Tuure, Secretary General of the State Youth Council. The questions that are repeated each year in the Youth Barometer year provide over 20 years of follow-up data for the observation of trends over this period. They offer a unique set of data for the use of youth researchers. The interview data is stored in the Finnish Social Science Data Archive where they can be downloaded for teaching and research purposes. The data is also available in English. The Youth Barometer 2018, Influence on the edge of Europe, (eds Elina Pekkarinen & Sami Myllyniemi) was published on 12 March 2019.